Code "Sunflower oil" - Approved positions. EFKO is a group of companies operating in the food and food ingredients industry. It is one of the largest manufacturers of mayonnaise and edible oils in Russia, producing under the well-known brands "Sloboda" and "Altero". The innovation policy of EFKO includes a wide program for developing new products and production technologies, which gave INDEX-6® the opportunity to become once again the preferred supplier of modern and clean equipment for filling and packaging of edible oil on a completely automated production line. The installed oil filling line consists of a weight filling multi-bloc from the Pragmatic ™ Series, model 49 RWTC 14 / 6G in a clean version and with improved performance with 1.8 and 2.7 L PET canisters at output of 5500 bottles of 1.8L per hour. The difference compared to the other two filling machines from the Pragmatic ™ Series, which are in operation at EFKO since 2008, is in the innovative INDEX-6® oil filling valve with externally controlled closing, for achieving high-speed gravity filling with absolute laminar product flow and with just one single drop at valve closing (with a regular shape and therefore falling into the bottle without any micro-splashes). All this with precision of dosing within 1 gram. The weight filling multi-bloc is also equipped with a system for automatic dosing of liquid nitrogen in the bottle prior to capping, giving to the finished product the great advantage for transportation at long distances and allowing its arrangement on pallets at significant height, regardless of temperature deviations. 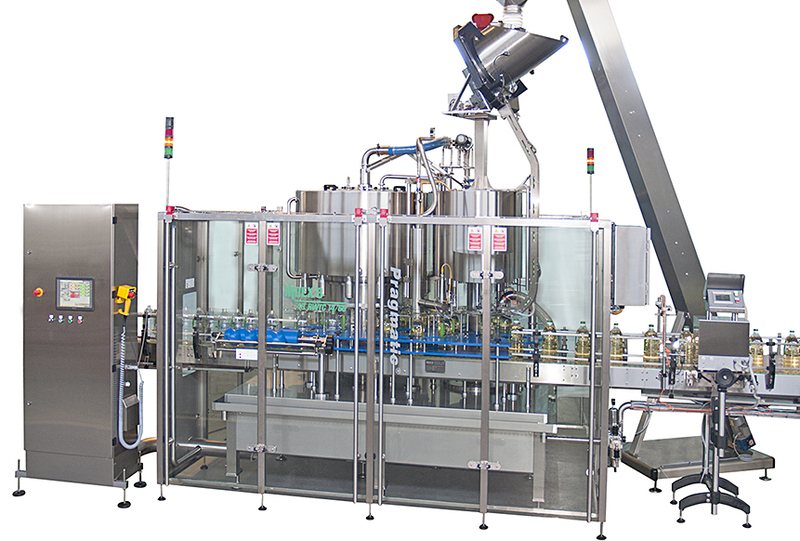 The new edible oil filling line of EFKO is completed with the necessary air conveyors and buffer conveyors; a rotary labeling machine model IND-Lab 36 HM (Hot Melt labeling station for applying wrap around precut paper labels) and robotized packing machine - model IND-Pack 24 - for arranging the bottles in carton boxes. 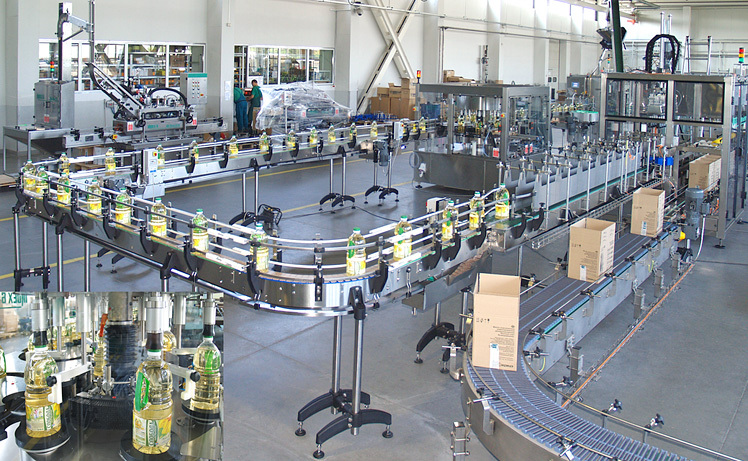 The general concept of this line represents a highly hygienic level of product filling and exploitation of the equipment, as well as uncompromising quality of processes: filling, capping and labeling at a reasonable and competitive price and facilitated maintenance.